1. Click 'Apsearch Subscriptions' in the configuration section. 4. Be sure to read the 'Configuration Help' section! Each board may require different types of credentials - some might use your standard login details, some might require an 'API' key. This box will tell you exactly what you need to know about the board you wish to search. 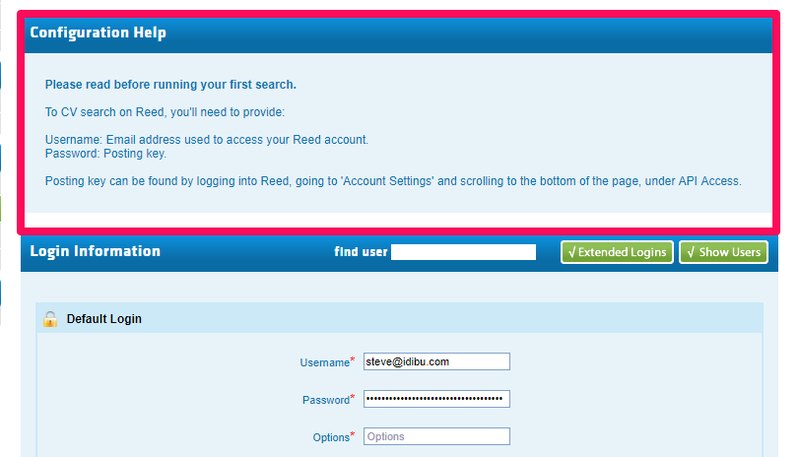 Your Account Managers at the respective job boards will be able to help if you don't have the right details to hand. 5. Remember that many job boards will only support one license per user. If this in the case, then make sure to click 'Extended logins' and 'Show users', and add your individual licenses on a per-user basis. 6. Save the settings and you're done. Happy searching!